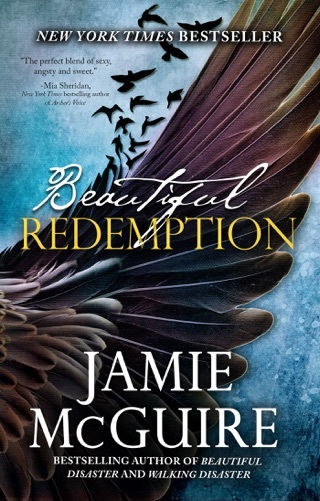 Another 5⭐️⭐️⭐️⭐️⭐️ Awesome Book by the Awesome Jamie McGuire!!!! 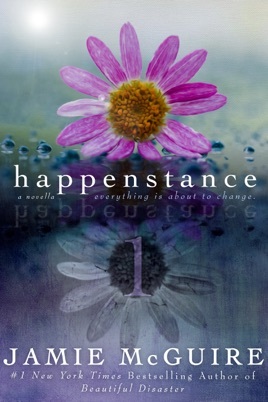 Happenstance is a gorgeous little gem that I devoured in under an hour. 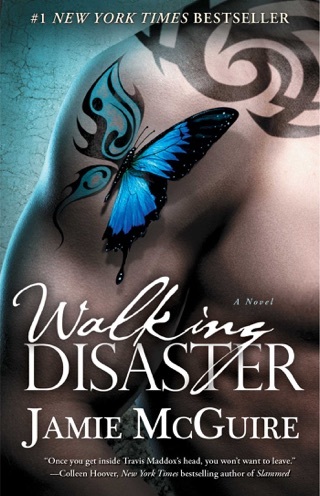 I've been anticipating this novella for months and I wasn't disappointed. Erin Easter is one of three Erins in the town of Blackwell, Oklahoma. The other two are BFFs and basically the mean girls of the school. Our Erin is poor and bullied, but overwhelmingly strong. Weston Gates is the man. A God. He's the guy you pine for in school. Those traits should make him the typical despicable jock, but he proves himself to be exactly the opposite of what everyone sees. If you've ever been picked on in life, you'll fully relate to this story. I don't just mean in the insults, but also the feelings the hate procures inside of you. There were many times my heart ached for this outcast of a girl. People can be cruel for no reason and this is depicted well here. But as much as you'll pity her, you'll also recognize she's better than the entitled children and deserves success outside of small town politics. Erin Easter shines like a bright beacon in the small, dark town and there are a few people who notice. Weston is one and oh my! As I mentioned above, he's THE GUY at school. The downside is he's the boyfriend of Erin A, Alder, who's the queen of mean. Something shifts in him and he joins team Easter. That alone is enough to win me over, but then he has some swoonworthy lines and you will fall. Hard. These two are a team when an event rocks the town and causes an avalanche of crazy. It is a bit shocking, and I admit that I wasn't at all saddened by what occurred. It emitted a sense of relief inside me. 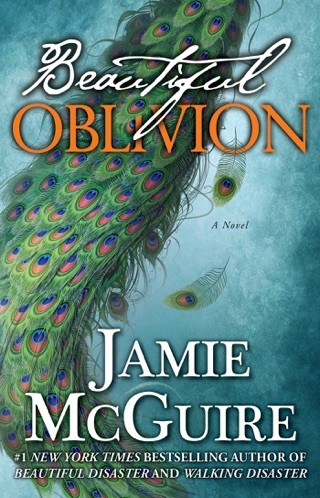 As is always the case when Ms. McGuire tells a story, I was ENTHRALLED from page one. 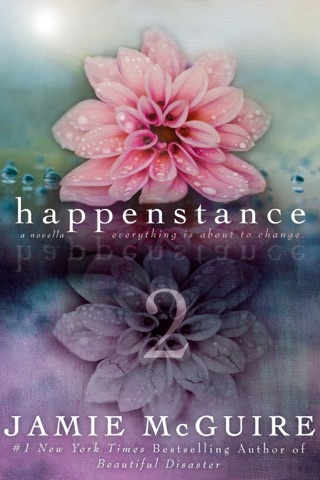 Happenstance flows beautifully from beginning to end and I felt everything from happiness to sadness and all emotions in between. Anger probably owns the top spot, alongside a smidge of jealousy. 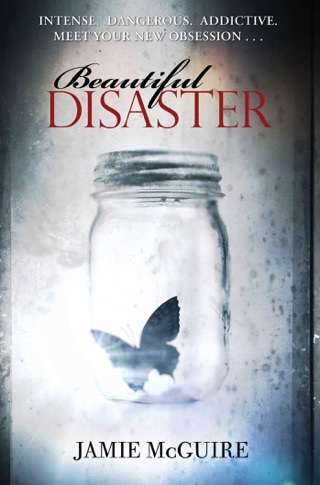 The plot will keep you reading and the good Erin will have you rooting for her in no time. Erin Easter is the awkward, unappreciated duckling who is slowly transitioning into a beautiful, inspiring swan. Weston Gates is the boy who's known since kindergarten. 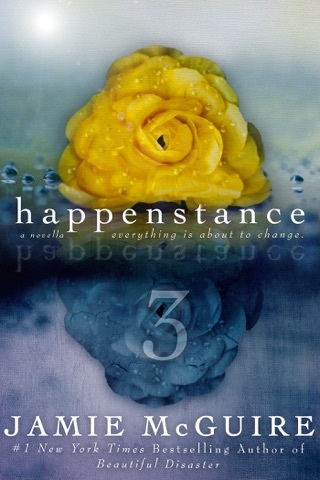 Happenstance is their beginning and I can't wait to see what else Jamie has in store for them! 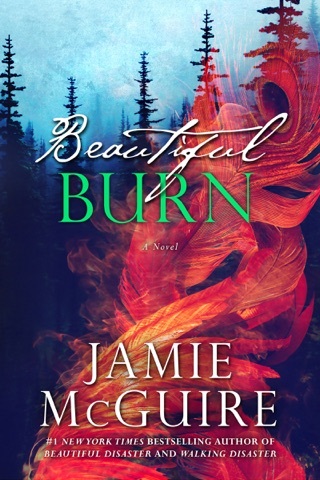 Jamie McGuire does it again! I think at some point many have thought, " how am I related to you, we are nothing alike?" Well, what happens when that truly is the case? This was an amazing story about three friends that some how became enemies. I am sincerely hoping there is more to this story as I feel there is more to it than we know. 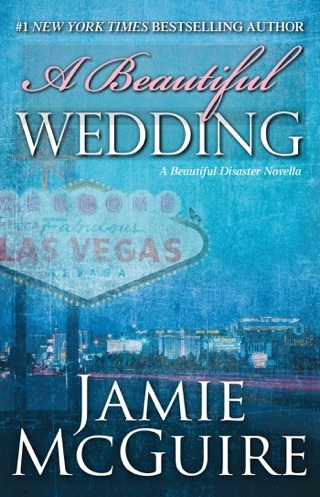 I look forward to following Erin and Weston through the rest of this story because I know Jamie wouldn't leave me hanging!